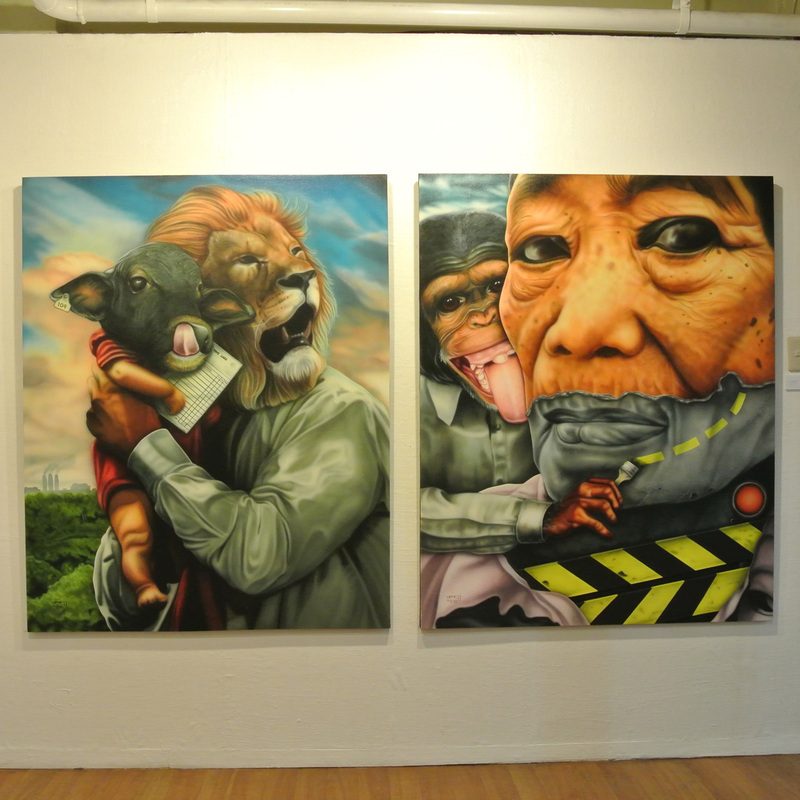 Artist Caloy Gernale relies on the aesthetic appeal of the airbrush technique in completing his new acrylic paintings for his latest one-man exhibit, Allegories and Allergies. 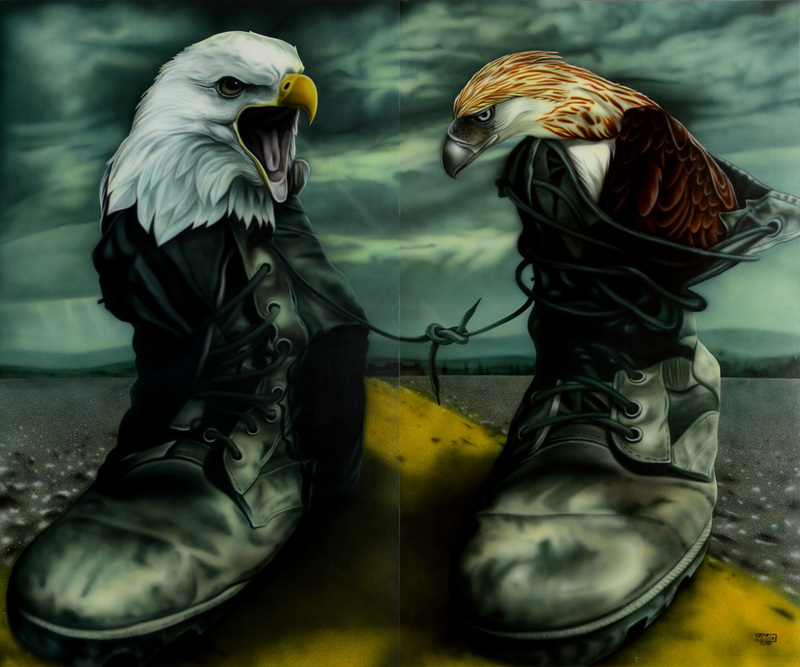 Gernale revels in using metaphors and allusions to express his ideas. 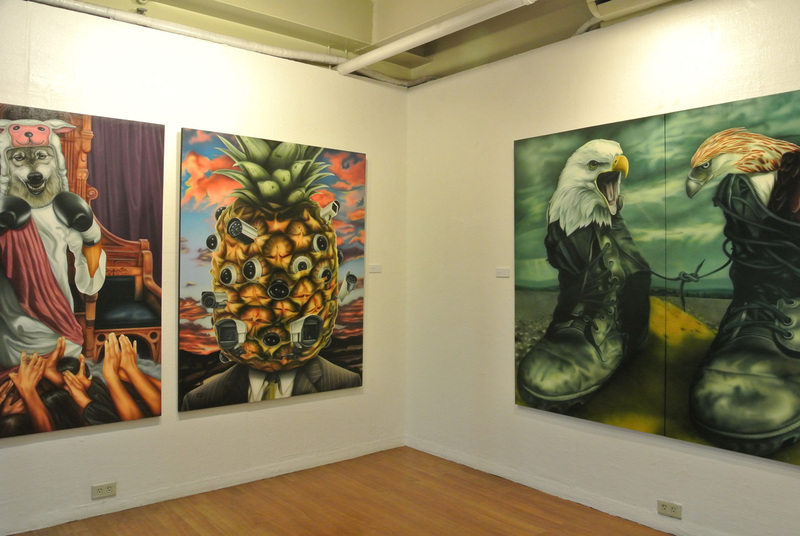 This time, he lifts intertextual themes and parallel signs and symbols from popular literature as a tool for making social commentary. 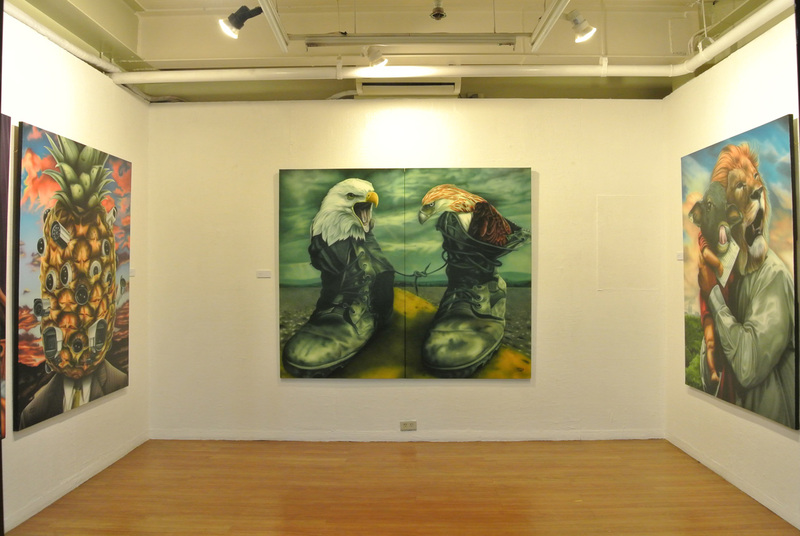 His socially relevant and intellectually stimulating works are proof of Gernale’s skills in balancing form and content. 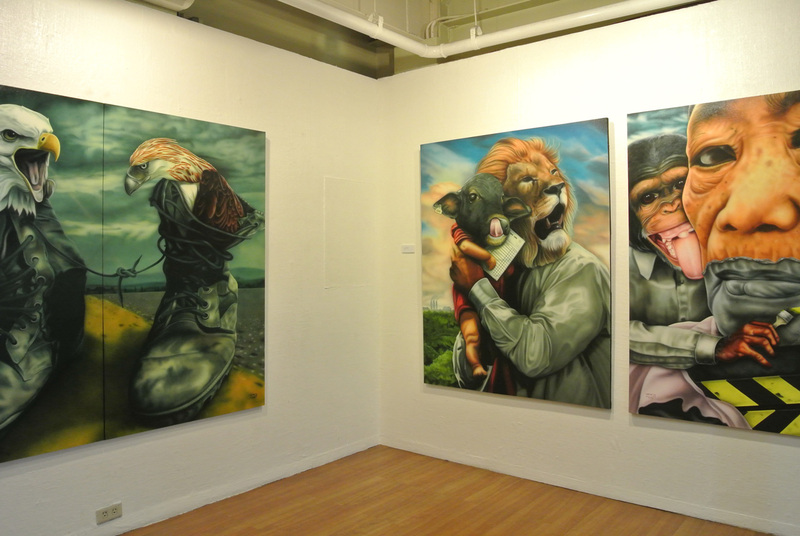 In Allegories and Allergies, he focuses on social disputes marked by anti-hegemonic undertones and wry humor. 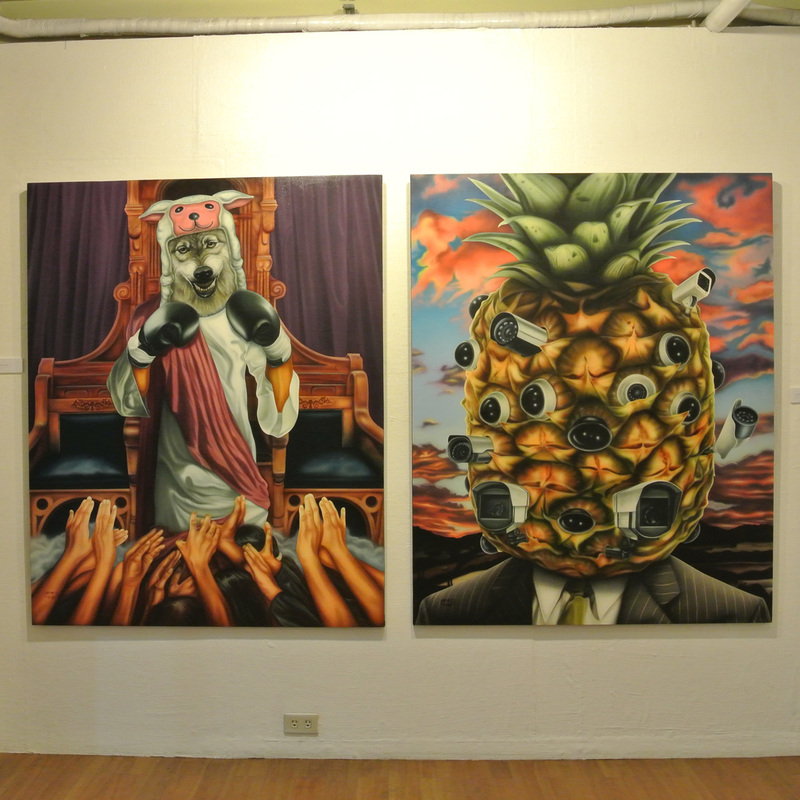 “Malediction of Pina” (60″ x 48″, acrylic on canvas) features a pineapple-headed man in a business suit set against a formation of sunset-lit clouds. 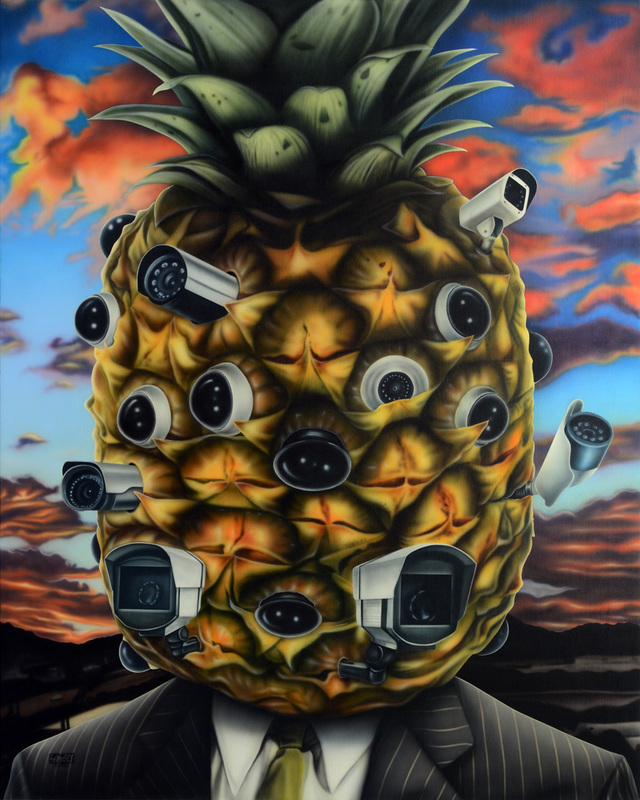 This image is a witty play on a popular Filipino tale, “Ang Alamat ng Pinya.” Gernale uses this allegory to invite the viewer to ponder the idea of a “surveillance society” that is controlled by one man. 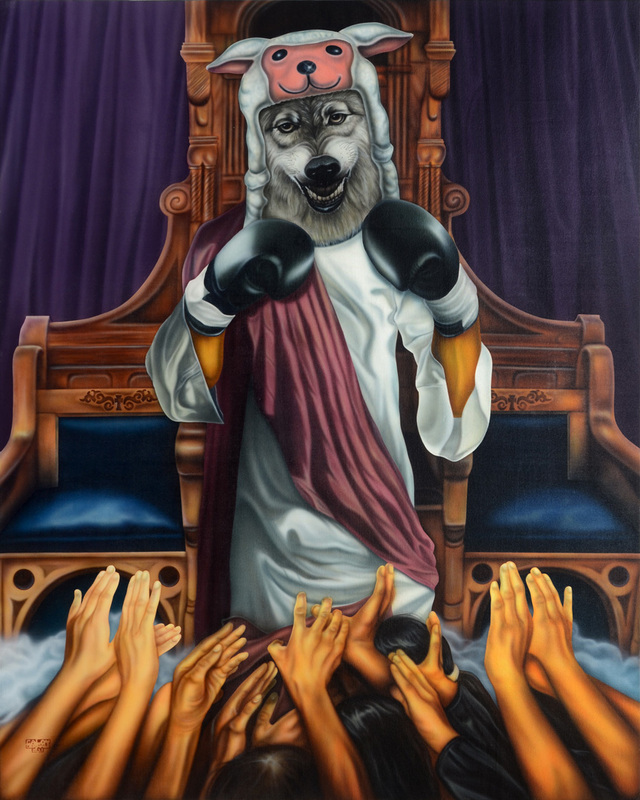 Then, there is “The King of Pride Rock” (60″ x 48″, acrylic on canvas), which is inspired by the popular Disney film, The Lion King. 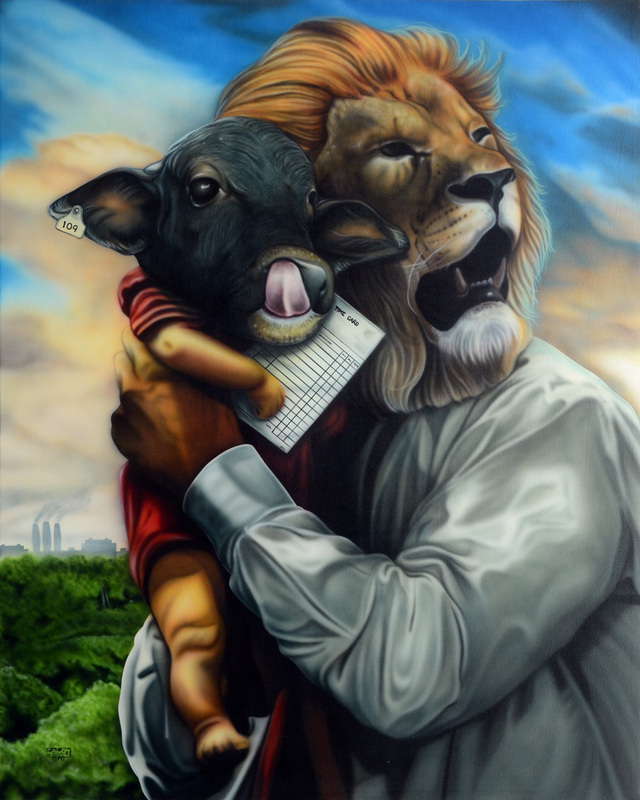 Here, a lion-headed man in a business suit is carrying a young buffalo. Behind them are a lush, green forest and the silhouette of a factory. 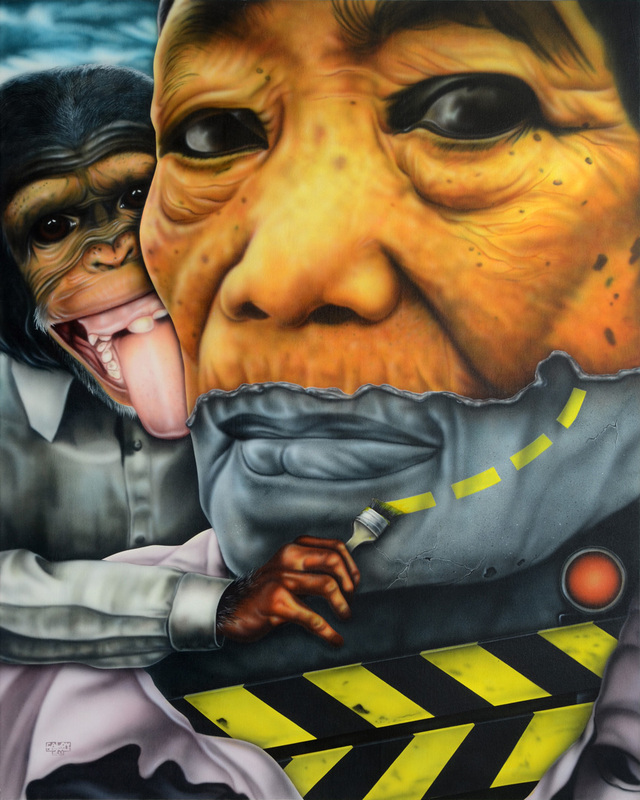 The composition seems to stress the king’s deceiving looks rather than his “benevolence.” Overall, the exhibit reflects the artist’s influences, including animation and editorial cartoons, and inclinations to produce art that will have a long-lasting visual impact on its audience, highlighting societal flaws and amplifying our collective desire for positive change.